Courtney Mellor is a PATH Advanced Certified Instructor and Mentor. 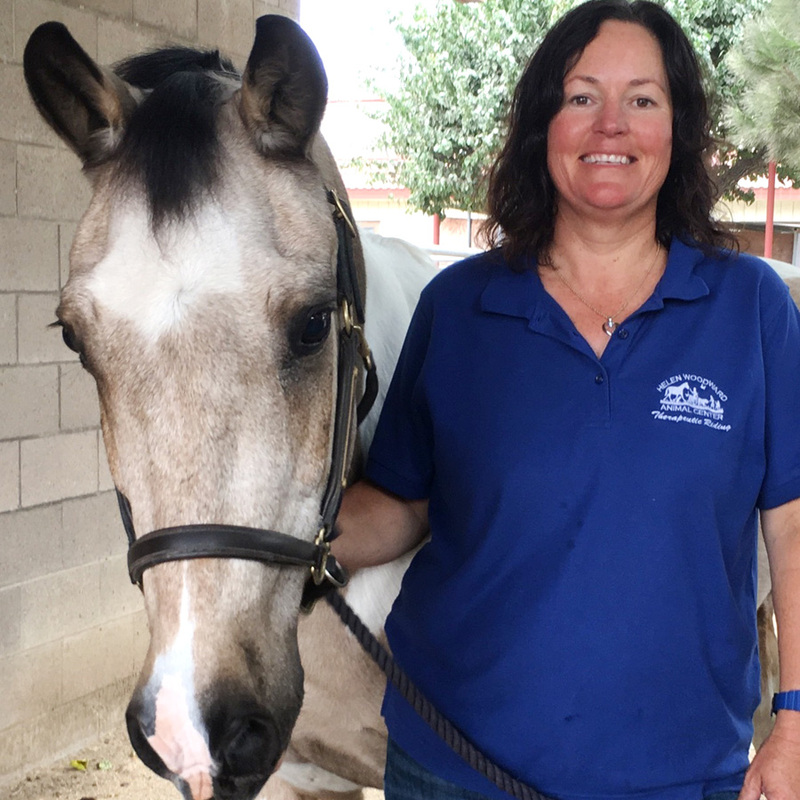 Originally from Kansas City, she has a lifetime of equine experience as United Stated Pony Club graduate and USPC Provisional Chief Horse Management Judge. She currently is a member of the PATH Region 11 leadership team as Communications Chair. 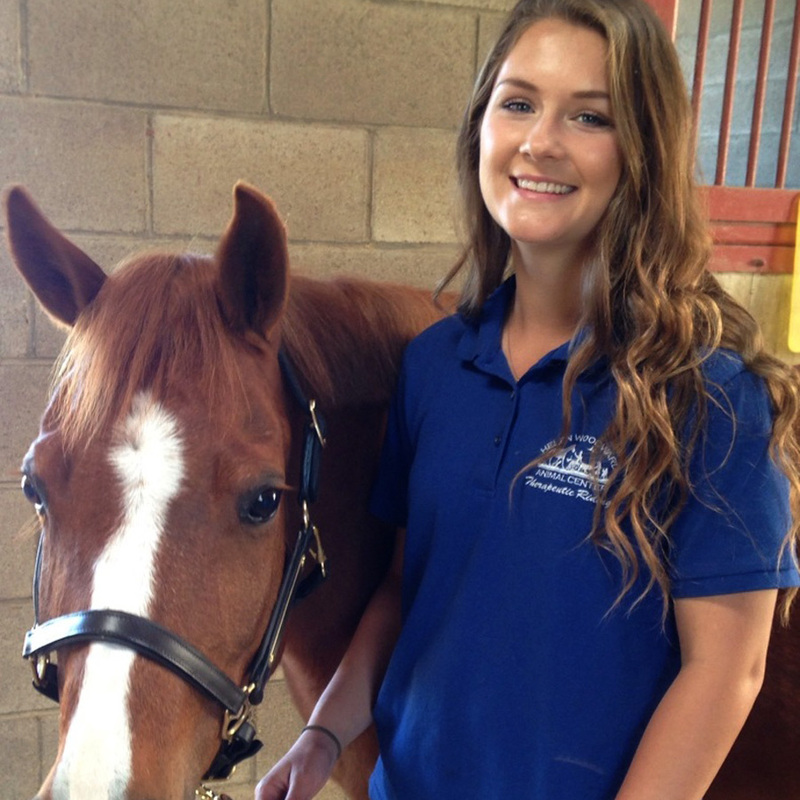 Courtney truly enjoys sharing her passion of equine management and student education through her mentorship of new instructors in training. 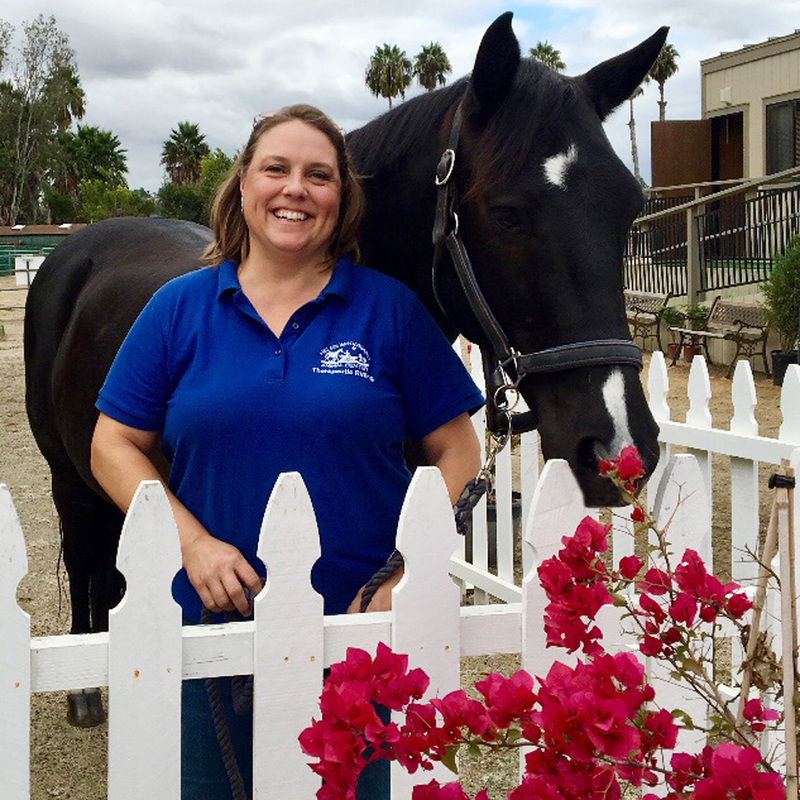 With both domestic and international Therapeutic Riding experience, she has been excited to call San Diego home since 2016. 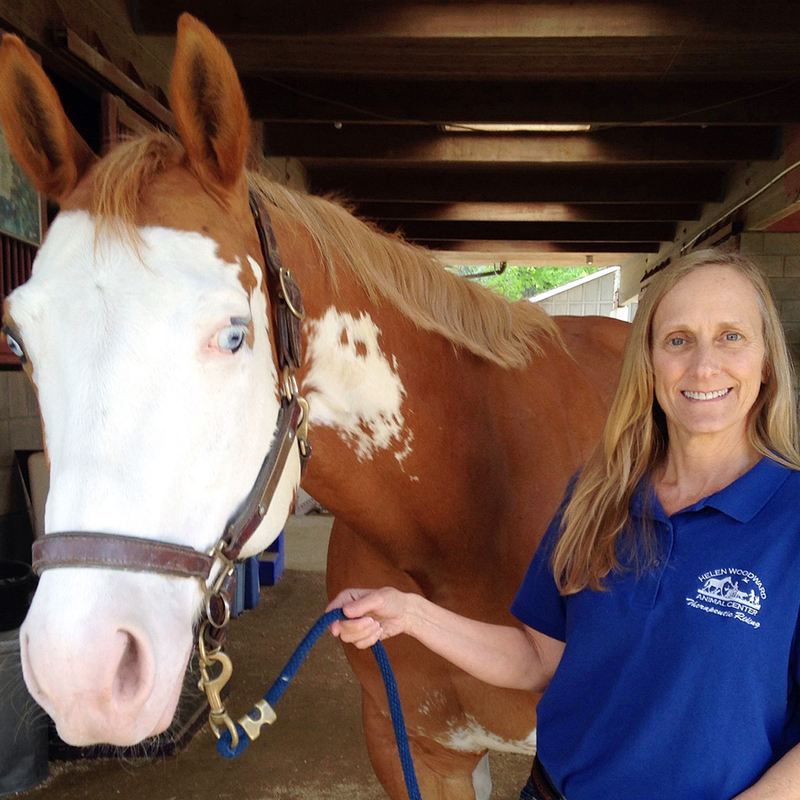 Gretchen grew up riding at Blackland Farm in San Diego and has been teaching for over 20 years, both locally and in the southwest Virginia area where she earned her BA from Virginia Intermont College. She earned her PATH Int’l Registered Level Instructor Certification in June 2009 and joined the staff at Helen Woodward shortly after. Her students are an inspiration and a joy, and the wonderful volunteers and co-workers make the work here even more enjoyable. Susan is an example of how some of the best employees can come through the Volunteer program. 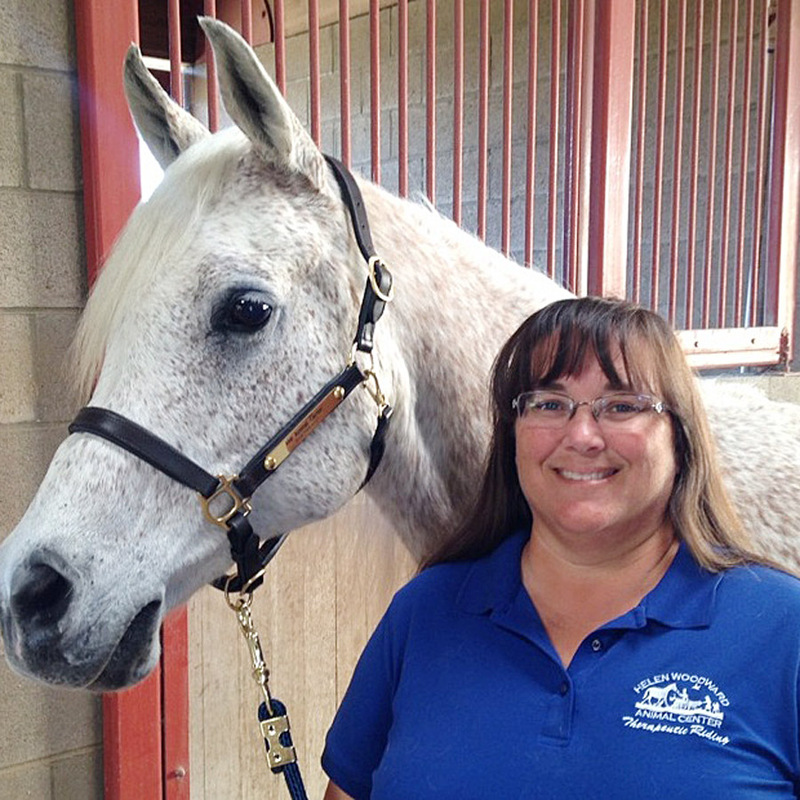 Susan was a volunteer with Therapeutic Riding and was motivated by her experience to take her horse experience and begin pursing her PATH Int’l Instructor Certification. Shortly after that, we were delighted to have her join our staff as an Instructor in Training. In July 2016, after a long and challenging process, Susan achieved her PATH Registered Level Instructor Certification and was promoted to Instructor. Elizabeth grew up locally, successfully competing in several disciplines, often through La Jolla Farms. Her 30+ years of horse experience includes jumpers, equitation and running her family’s thoroughbred breeding barn in France for several years. She began as a volunteer with the program in early 2016, further proof that some of the Center’s best employees start as volunteers. She’s very excited to be a part of the Therapeutic Riding team and achieved her PATH instructor certification in early 2018 after a year of dedication and hard work. Grace started with the program as a barn attendant, caring for the horses and helping to keep them trained and exercised. 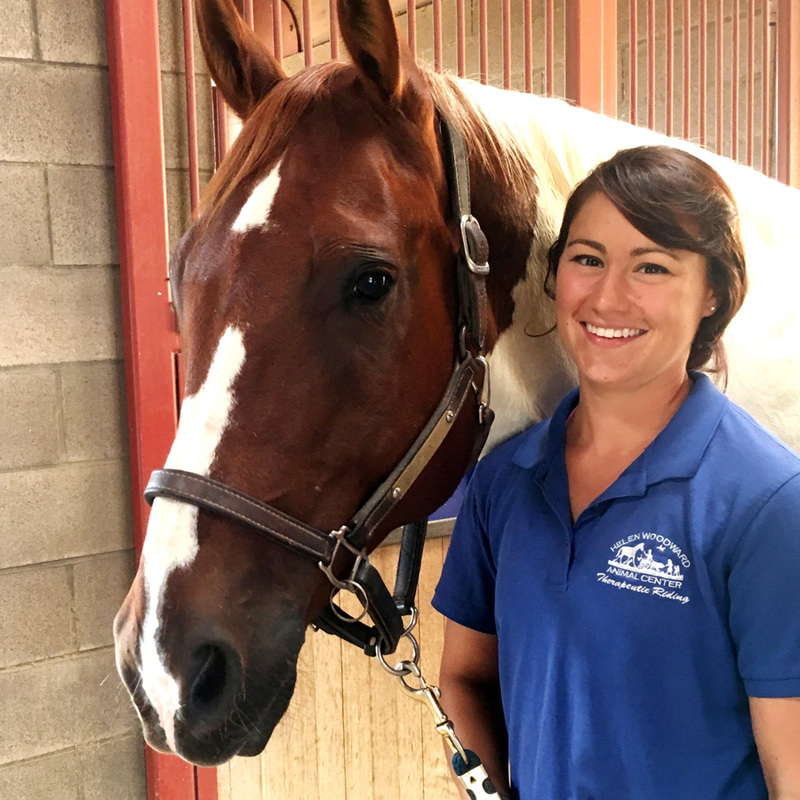 After helping in lessons as both a sidewalker and a leader, she knew she wanted to explore Therapeutic Riding as a career. Under the mentorship of program manager Courtney, Grace’s skills as instructor quickly developed. After several months of hard work, Grace traveled to Arizona for her workshop and certification in November of 2018, where she passed with flying colors! Without well-cared-for horses, our program wouldn’t exist and Deryn, our Barn Attendant, is the person primarily responsible for their daily care and well-being. Hailing from the East Coast, Deryn is originally from Charleston, SC. She grew up riding hunt seat and rode for the College of Charleston Intercollegiate Equestrian Team while earning her undergraduate degree. In addition, she worked as a horse-drawn carriage driver and tour guide for nine years, both in historic downtown Charleston and on the carriage roads of Acadia National Park, Maine. She is very grateful for the opportunity to be involved in the program and is so happy to be able to work with our incredible therapy horses!